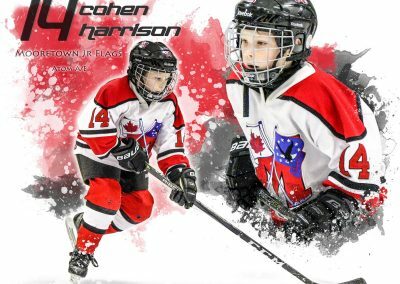 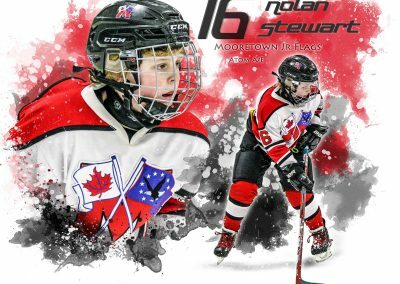 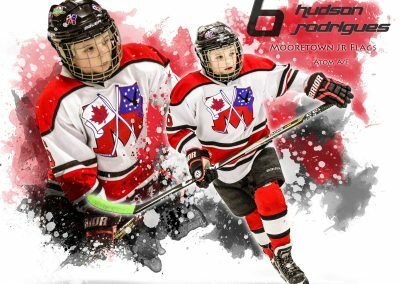 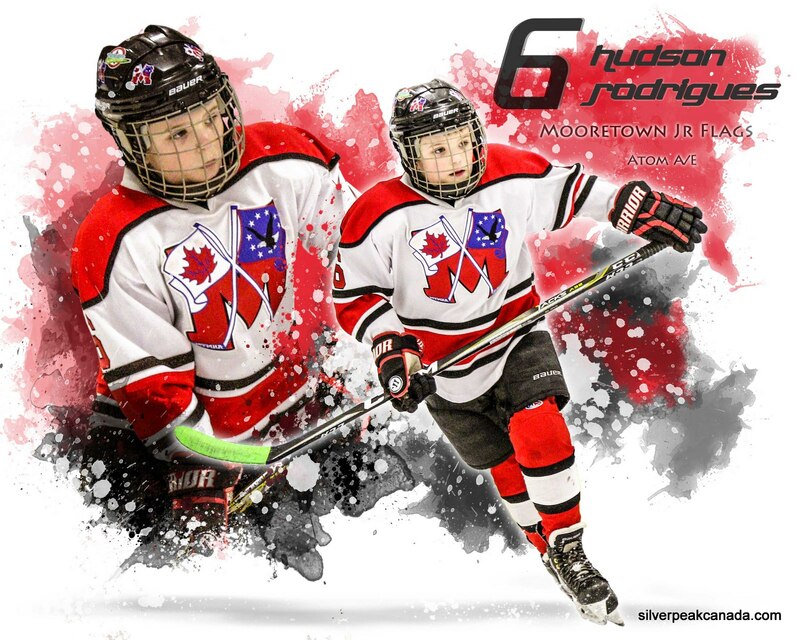 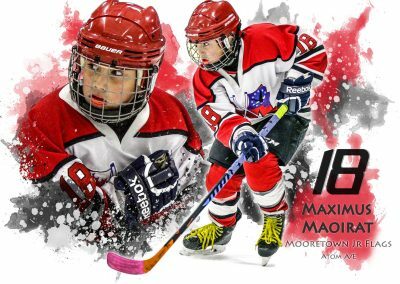 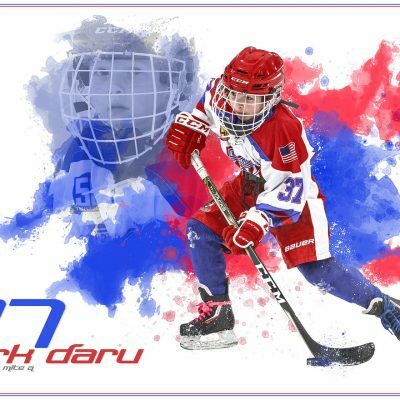 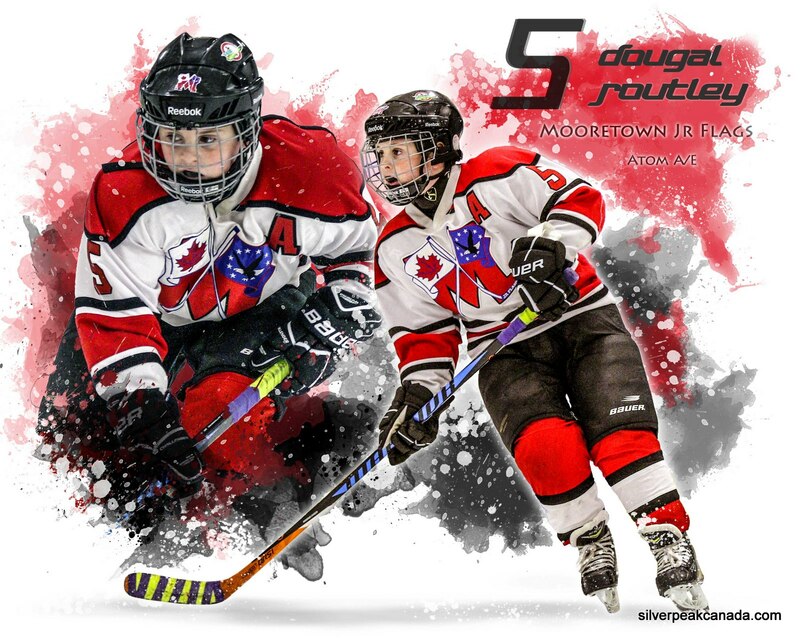 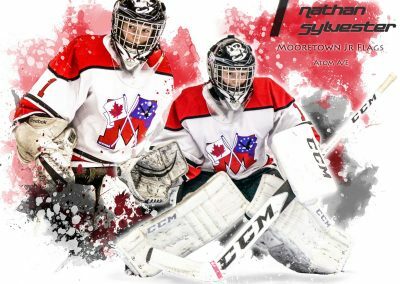 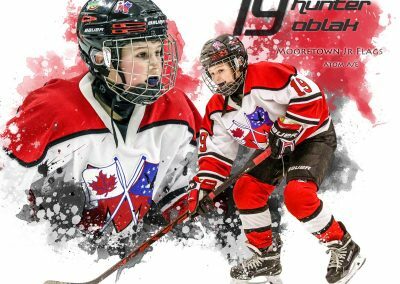 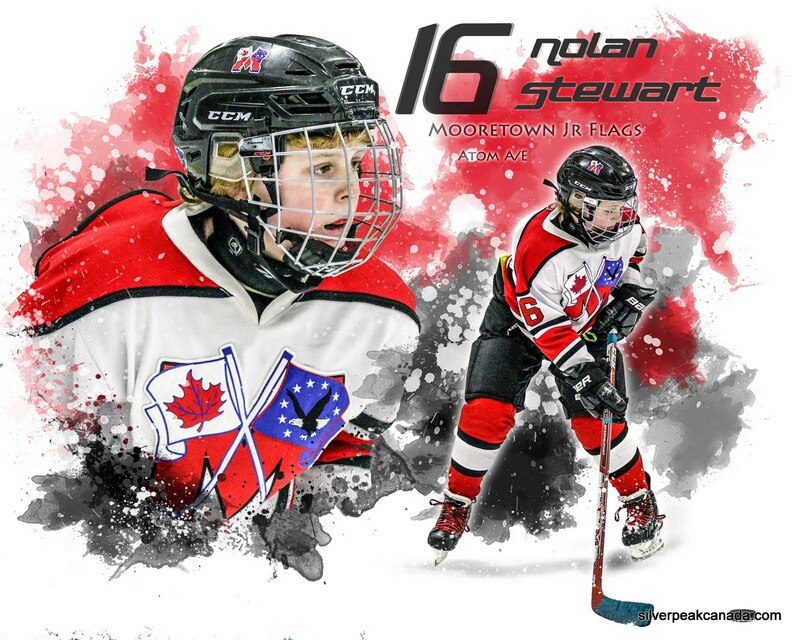 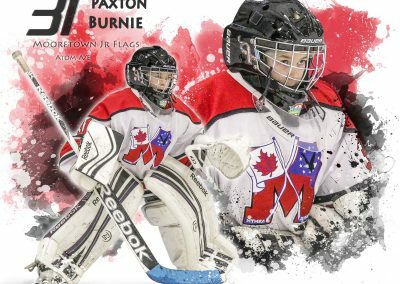 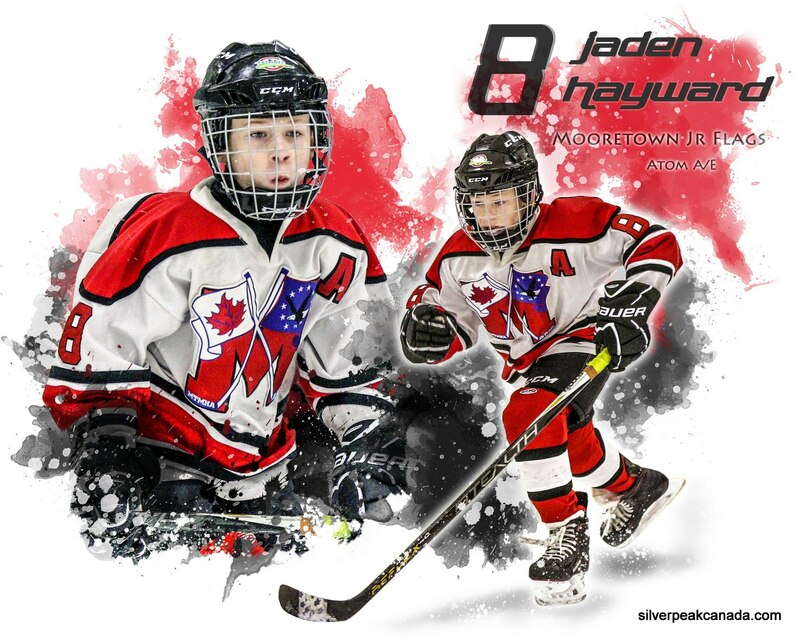 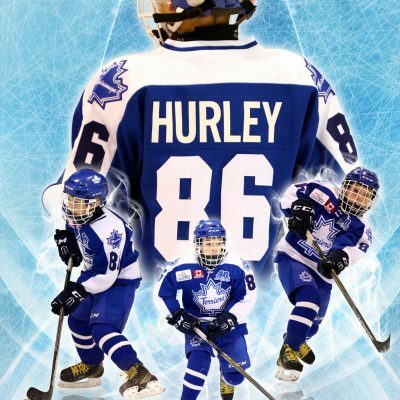 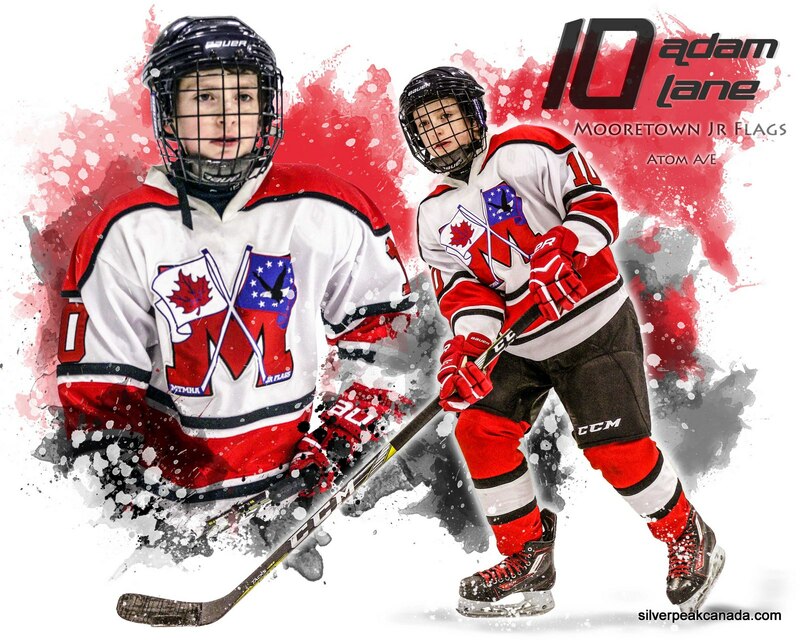 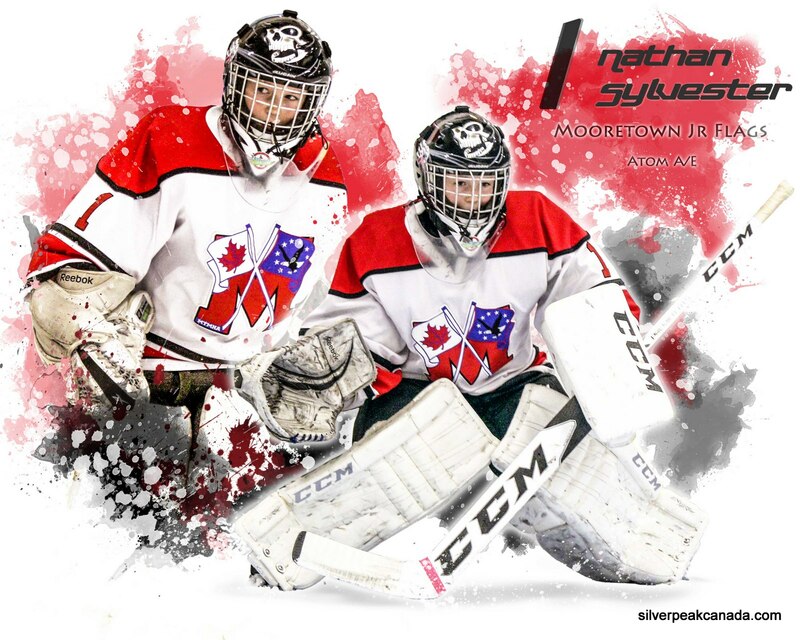 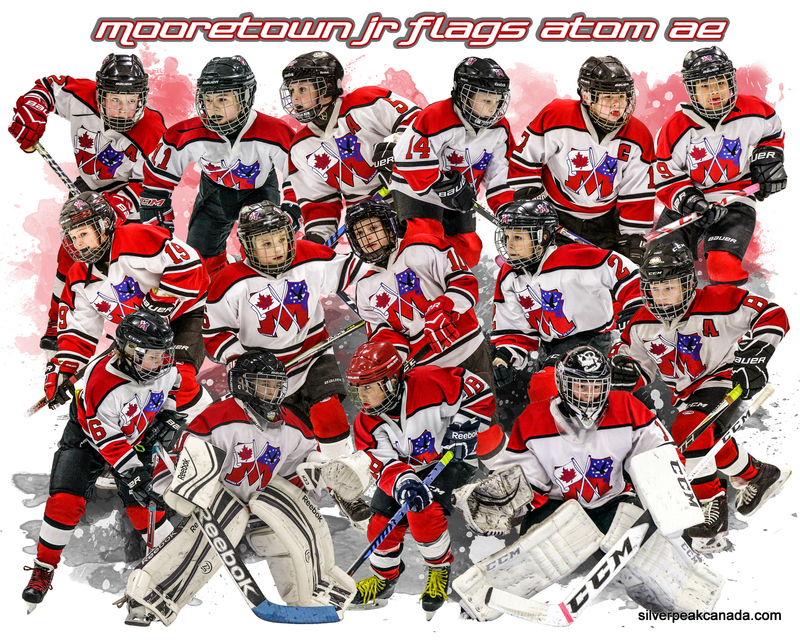 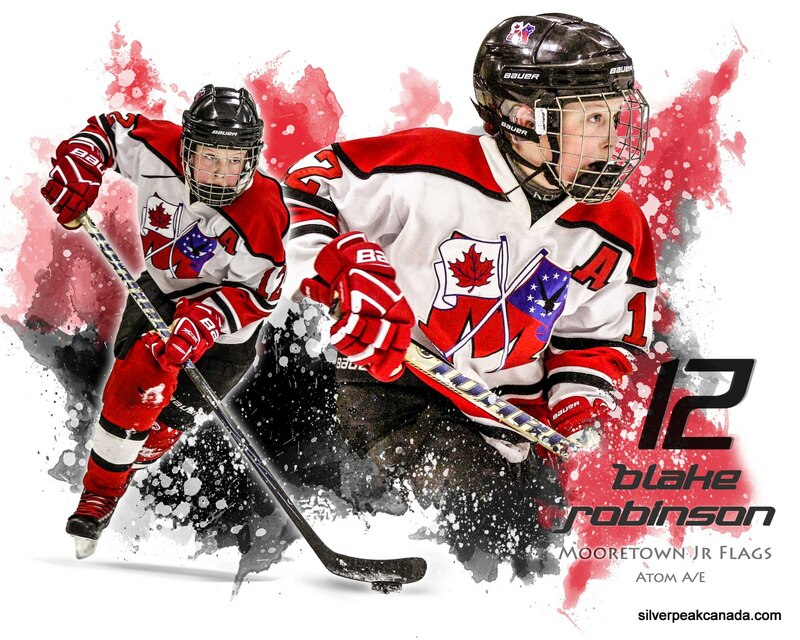 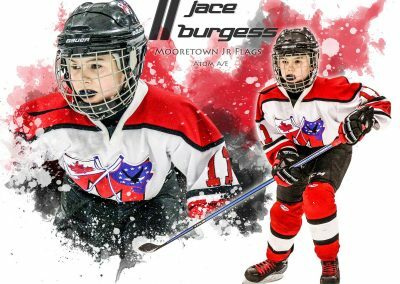 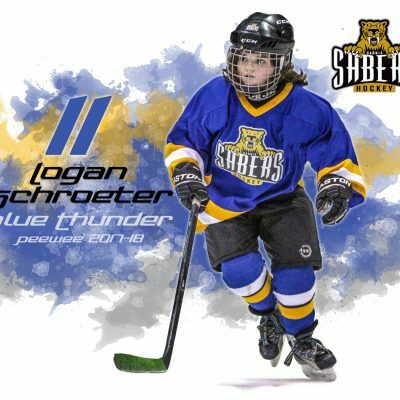 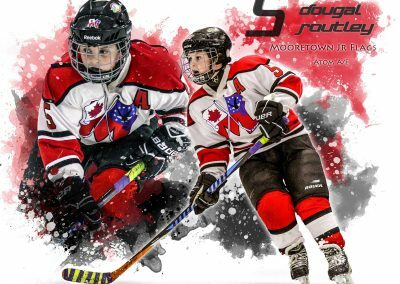 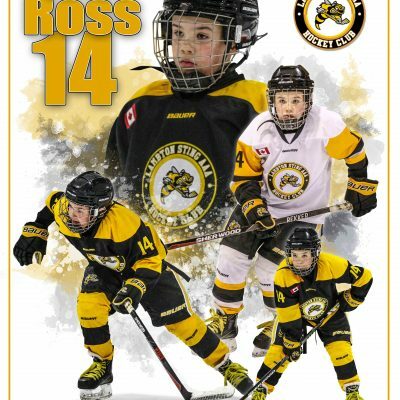 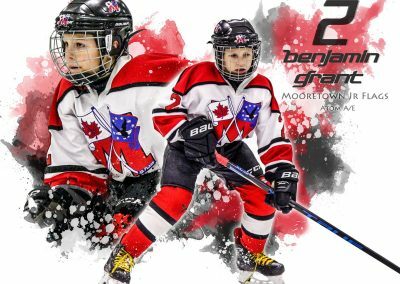 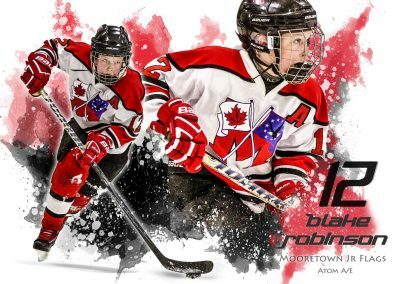 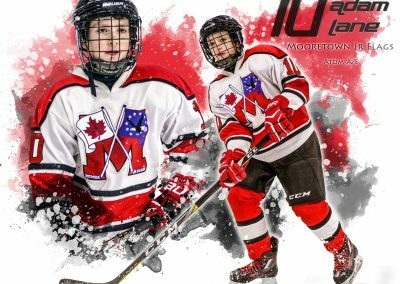 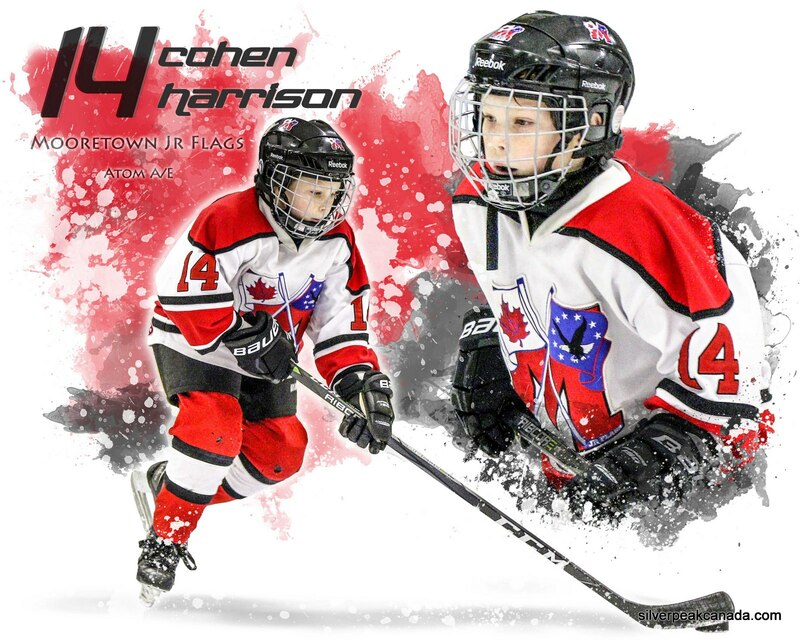 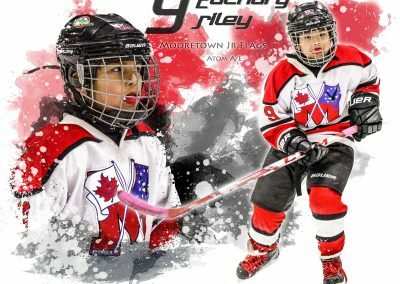 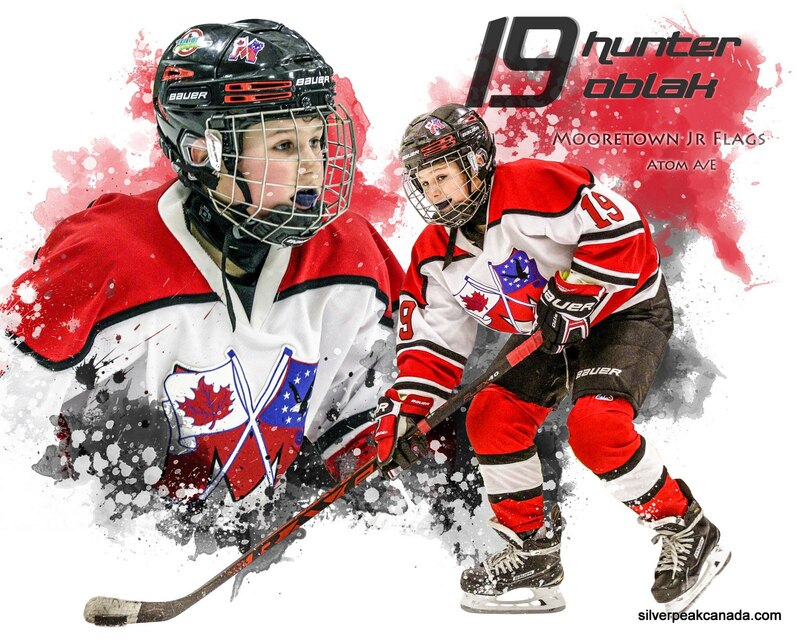 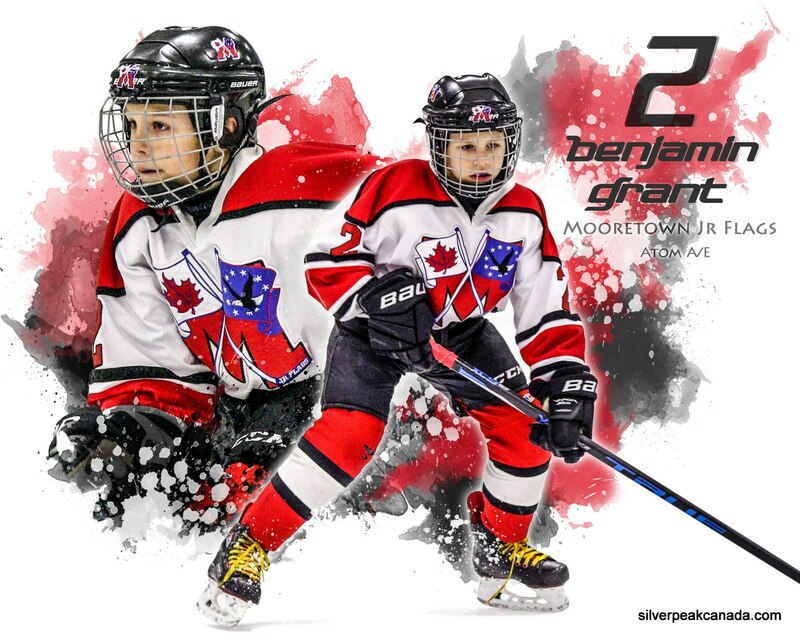 This is a project I did for the Mooretown Jr Flags Atom AE. 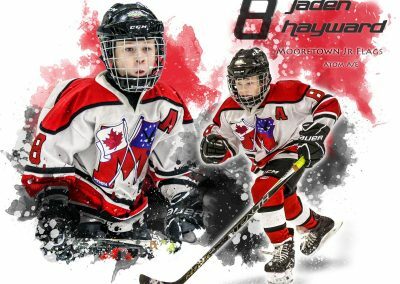 They invited me out to shoot their games. 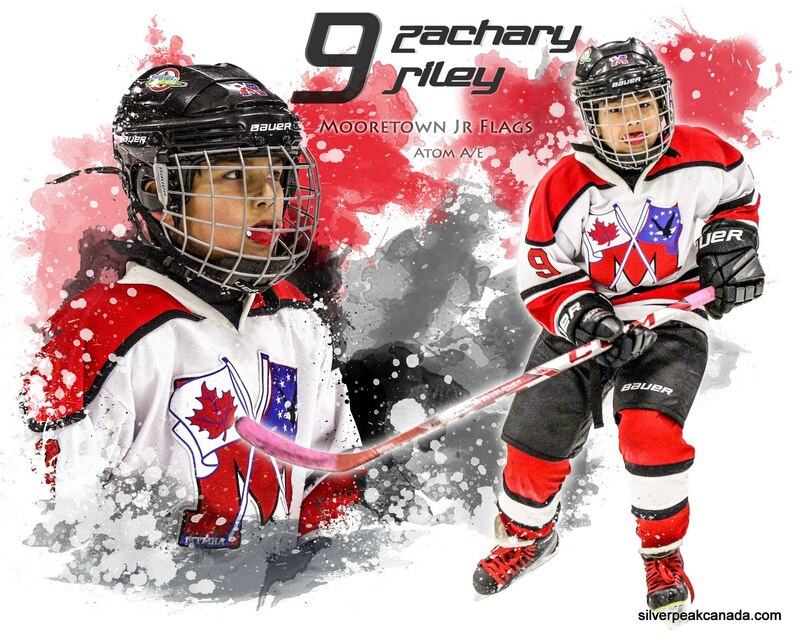 I got a massive gallery so there were some great selections for these. 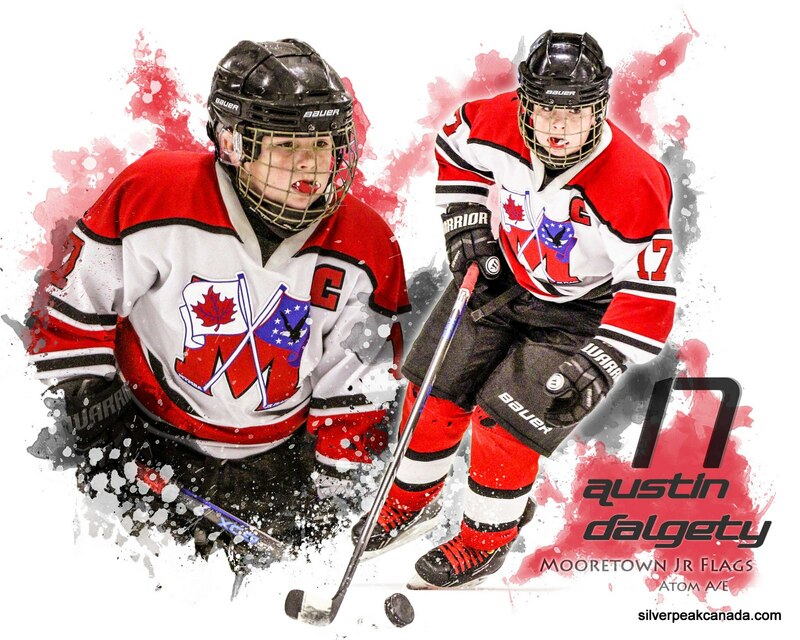 I made them each their own individual sportrait AND a copy of the team composite sportrait. 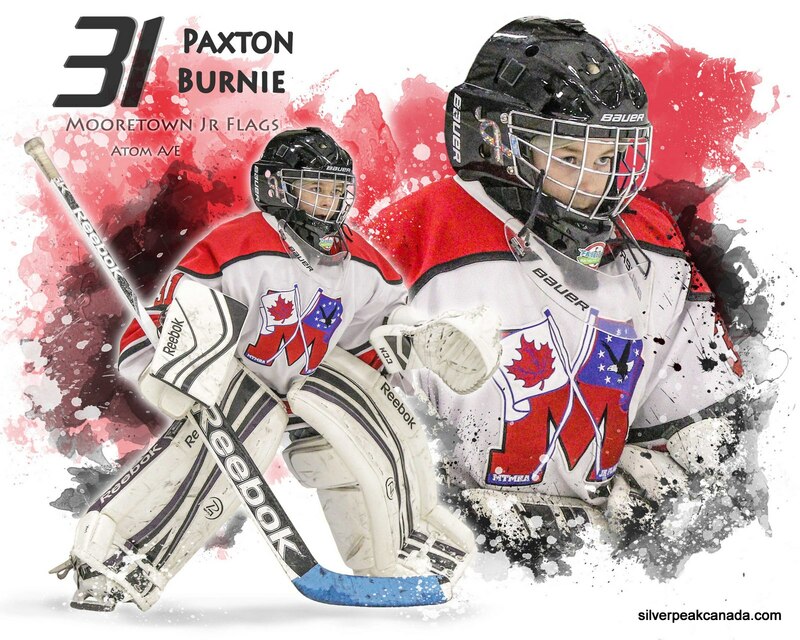 I hope I did the kids justice. 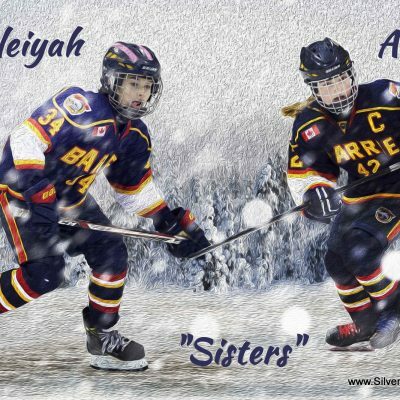 They played their hearts during that game I shot. 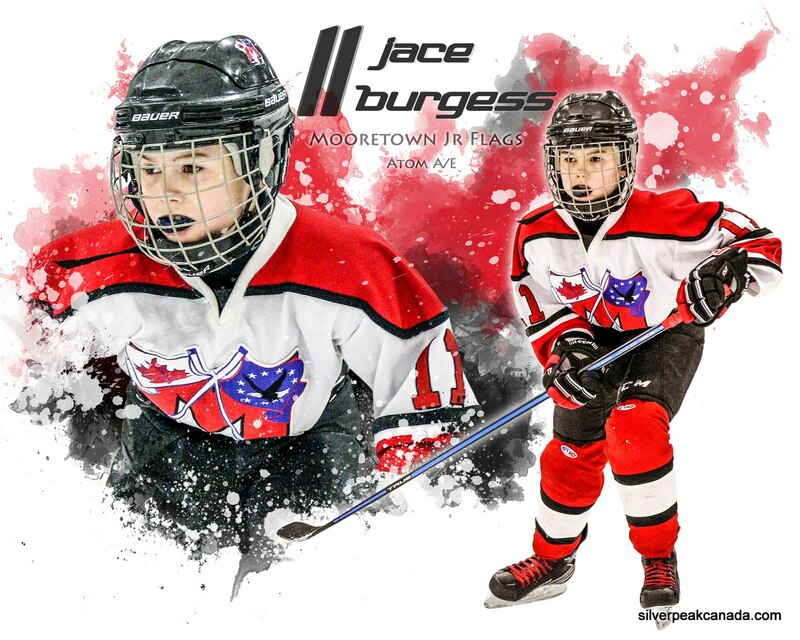 The lighting in Mooretown was favorable so that was nice! 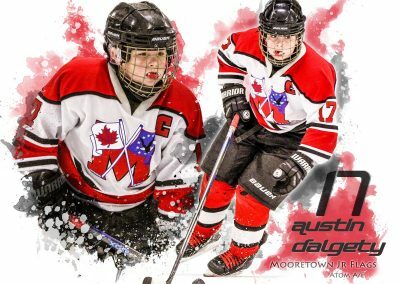 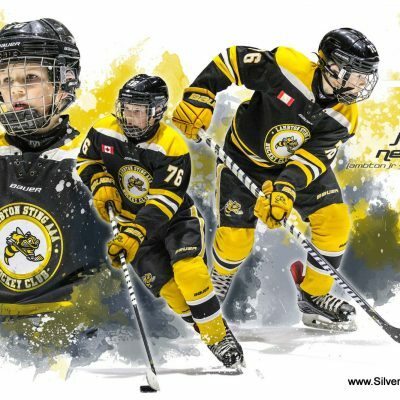 I wish I had of been able to get more head shots for this project, but considering I was in the penalty box across the ice, these came out pretty well. 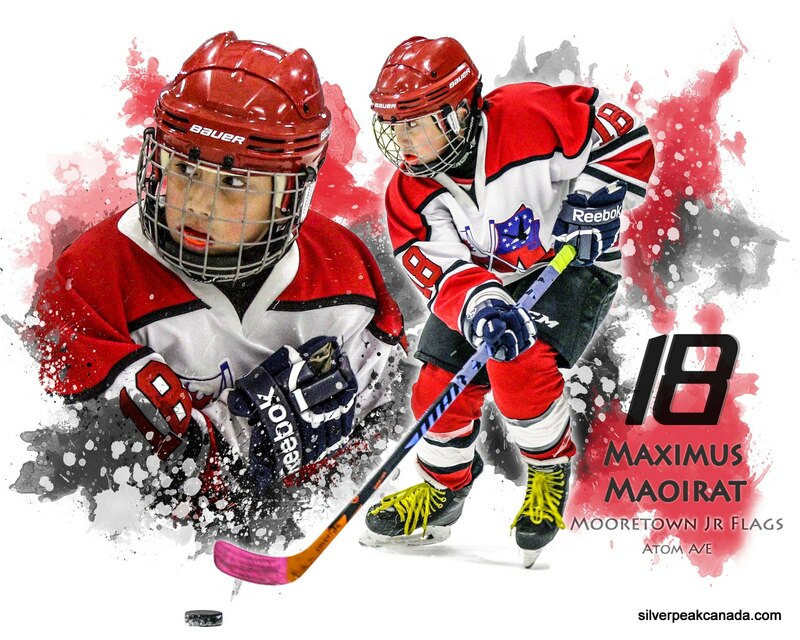 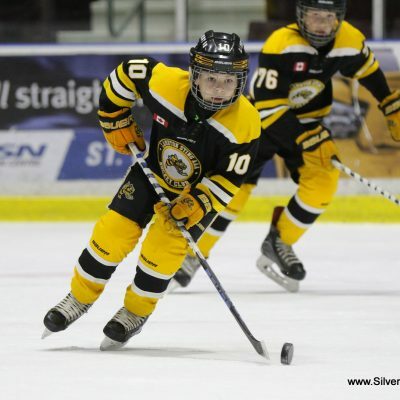 The action shots seem to have come out well too, the kids were great to keep their heads up with the puck!